POLICE are investigating after a man exposed himself to a woman in her 20s outside a Sussex school. Parents of children at Bishop Luffa School in Chichester have been told to be vigilant after the incident happened just before the end of school on Wednesday. 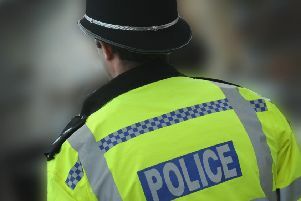 A Sussex Police spokesman said: “Police received a report around 3.20pm on Wednesday, May 20, of a man exposing himself to a woman in her 20s around 2.25pm in Sherborne Road, Chichester. The school’s director of pupil welfar, Mrs Weaden, has written to parents to warn them. The letter reads: “Dear parent, please be aware of an incident which occurred just before the end of school today. “A man exposed himself to a member of the public near the mini roundabout on the junction of Sherborne Road and Westgate.